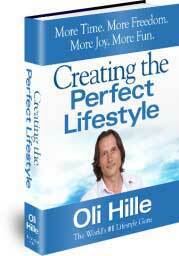 How to control your spending and massively increase your wealth. The full chapter on Buying What You Can Afford will show you how to understand the key wealth principle – affordable expenditure. Understanding how to budget with the cash you have will mean in 10, 20 and 30 years time you are far wealthier than almost everyone around you. The transfer of money from the impatient to the patient. Too often we try to acquire things now that we cannot really afford. If you have paid interest on your credit card, or borrowed to buy a car, or have made purchases on an installment plan, then this is you! If you can’t pay cash for it now, don’t buy it. Example 1: You want to buy a car and you have saved $1,000. Option A: You could use the $1,000 as a deposit on a $7,000 car. But then you have a $6,000 debt at high interest which is going to drain your cash flow for a year or two or more. Also because cars depreciate (go down in value) quickly you will end up in a situation in a couple of years where you own a car worth $4,000 with a debt of $4,500 and your $1,000 deposit is gone. Financial suicide! Option B: You buy a car worth $1,000 and you drive it until you have saved enough for an upgrade. Option C: If you can’t find a car that suits you for $1,000, take public transport until you have saved enough. Personal example: At the end of 1997 my salary was $38,000 and my wife’s salary was $30,000. We had managed to buy four properties (see my book “Creating the Perfect Real Estate Portfolio” for details – www.CreatingPropertyWealth.com) with a combined value of $1.2 million. However, we had very little cash and we had one car – a 1984 Honda CRX worth $700. Example 2: You want to buy domestic appliances and a new TV. Option 1: You buy them all new via installment plan. This costs you $4,000. You have to pay an upfront fee, and interest, and your cash-flow is drained for the next five years. Never borrow to buy a car. Tip #2 Never take on an installment plan to purchase something. Tip #3 Never use your credit card unless you have that amount in your bank or spare in your next pay packet. Tip #4 Cut up your credit cards if the spending power is too tempting. Tip #5 Never get sucked in by advertisements that say “24 months to pay” or “no deposit”.